Welcome to the CBS Renew/Cancel Watch. All scripted, primetime shows are included in the prediction table below once they have premiered for the season. An analysis of any new prediction changes or observations follows. My current predictions are as of February 7, 2015. During Super Bowl 50 on Sunday night, millions of people watching the game (a figure so insanely high) were shown the first official "Final Season" promo for CBS's long-running legal drama, The Good Wife. The TV spot announces the remaining nine episodes of the current season to be the show's last. This news has been largely expected, with star Julianna Margulies recently speaking out about being "unemployed come April," along with co-creators Robert and Michelle King announcing their departure after this season. Sorry to all the Good Wife fans out there, but this one effectively moves into the red in the chart above as CBS's first veteran drama cancellation of the season. At least the network was smart to take advantage of the high viewership levels of the Super Bowl in an effort to transfer some eyeballs to the show's final string of episodes. If the last six years have been any indication, viewership is likely to exceed 100 million again this year, which is far more than the drama's current seasonal average of just over 8 million weekly viewers. 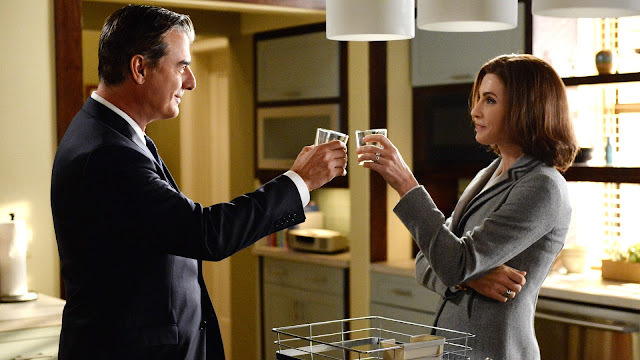 Are you surprised by the cancellation and final season announcement for The Good Wife? Do you think any other shows will get a final season announcement in the coming months?